Emily Riddle of Legacy Christian Academy drives in for a layup in the first half of a win over Dayton Christian, Jan. 17 in Xenia. Riddle led all scorers with 21 points. LCA’s Emma Hess steals the ball for a quick first-half score in Thursday’s Metro Buckeye Conference girls high school basketball game against Dayton Christian, in Xenia. Legacy’s Maddy Combs fires up a three-point shot in front of a group of Dayton Christian fans, in the second half of Thursday’s 60-15 Knights win in Xenia. Katie Leach of Legacy Christian (22) defends a pass to Dayton Christian’s Kiara Sanders during Thursday’s girls high school basketball game in Xenia. 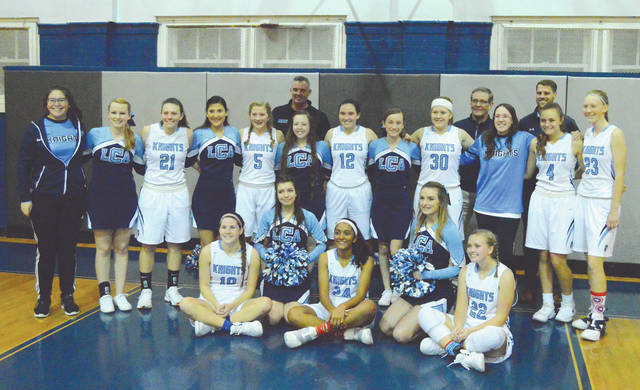 The Legacy Christian girls basketball team appreciated having the varsity cheerleaders on hand for the Jan. 16 home game with Dayton Christian, Jan. 17, and posed for a group photo with them after the game. 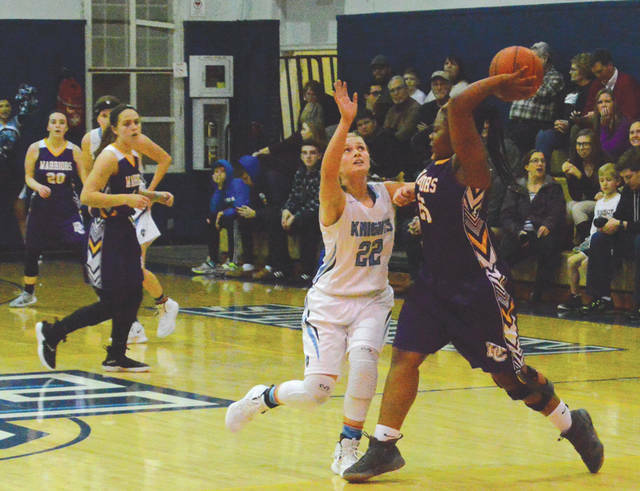 XENIA — It was already known that the Legacy Christian Academy girls basketball team was pretty good, even before Thursday’s home game with Dayton Christian had started. But with the addition of some previously injured players to a good mix of proven talent, the Knights might be even better now. 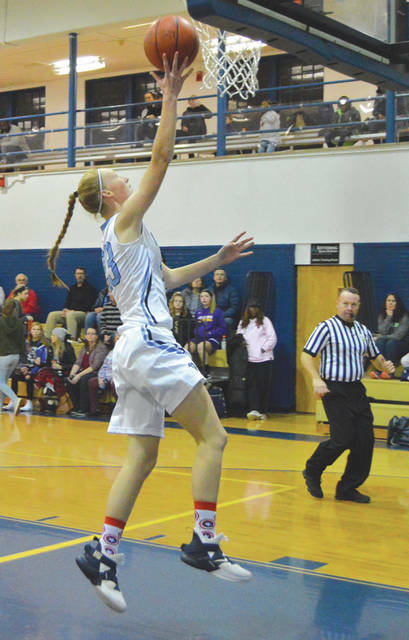 LCA (13-1, 7-0 in the Metro Buckeye Conference) rolled to a 60-15 win over Dayton Christian on Jan. 17, the Knights’ 12th straight win. Despite missing more shots than their coach would’ve liked to see, they still made it look easy. Leading 30-9 at the half, Legacy outscored the Warriors 18-2 in the third period to take command with a 48-11 lead heading into the fourth period of play. Despite a rash of intentional extra passes to a Knights teammate on each fourth-quarter possession, Legacy outscored a short-handed DC bunch, 12-4 the rest of the way. Dayton Christian coach Kathryn Hill said her team played well, but they just ran up against a very good LCA squad. LCA coach Mark Combs had the post-season in mind, especially after grabbing a dominating halftime lead. He played a variety of player combinations against a Dayton Christian team that had eight players at its disposal due to injuries and school commitments. “Obviously, we have a little bit of an eye toward the tournament, and we know that we still have some important games ahead for us in the regular season, but one of the things we haven’t had very much of this year is depth,” Combs said. “Danielle (Matthews) had been out of the lineup hurt, and so with her back, we’ve been working to get her some playing time. She just needs repetition … She hasn’t played a lot of basketball yet this year, so I made sure to get her in as much as I possibly could. 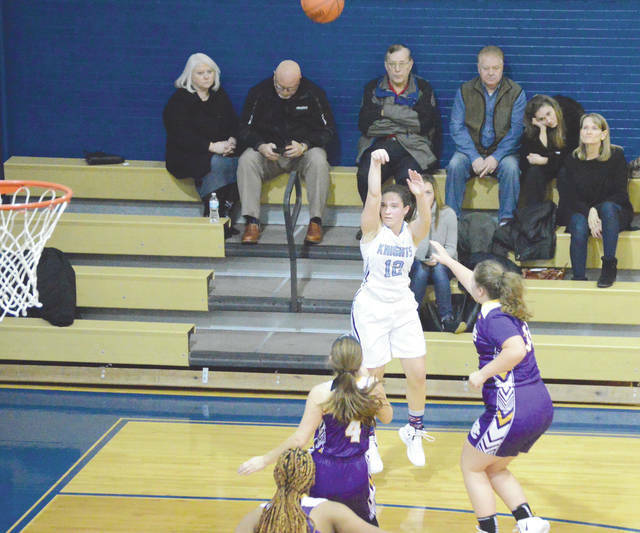 Emily Riddle led everybody with 21 points scored, Emma Hess scored a dozen points, Matthews scored 11 while Maddy Combs, Kathleen Ahner, Alyssa Free and Margaret Kensinger combined for the team’s other 16 points. 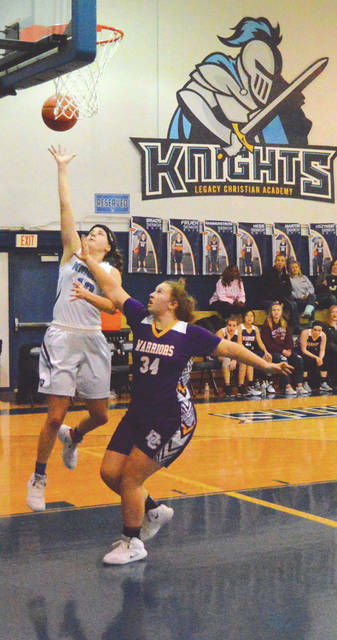 Camryn Collinsworth led Dayton Christian with six points, while five other Warriors combined for the team’s other nine points. DC is now 5-8 overall, 2-5 in the MBC, and they’ll play a non-league road game next, a scheduled 12:30 p.m. Saturday Jan. 19 contest at Oakwood. LCA has a good nonleague challenge ahead on Saturday. They’ll play at Alter (7-7) at 7 p.m. Saturday in Kettering.